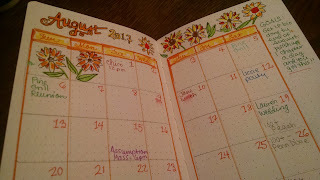 I keep a bullet journal as I may have mentioned. It grew out of this story I wrote for The Buffalo News on bullet journaling. That is the column where I usually put my goals for the month! Things to do, stuff I want to get achieved. Such was the case in bright, cheery August. The goals column is skinny but you would be amazed what you can fit in there. That is, unless you start doodling a big old tree. 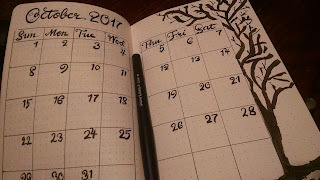 I guess I will have no goals for October! October will be the month of No Goal. That is a hockey catchphrase up here in Buffalo, dating from some long-ago game where we were cheated. It applies to me this month. I will look on the bright side.